Many thanks to Dr. Wevrick for contributing to this blog. A newly published study has shown that mice taking a diazoxide treatment lost weight, and that this occurred even in mice lacking the PWS-region gene, Magel2. The study, which is the first long-term study of diazoxide as a weight loss therapy in mice, was published in the journal Molecular Genetics and Metabolism by Dr. Rachel Wevrick and her team at the University of Alberta in Edmonton, Canada. They have been measuring the ability of diazoxide to reduce body fat and increase endurance in mice. 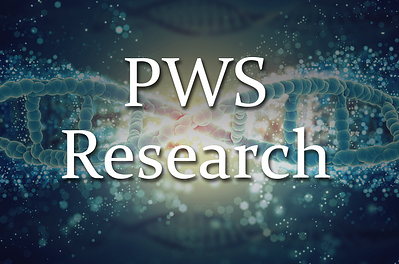 Dr. Rachel Wevrick pioneered preclinical studies of PWS therapeutics using a mouse model of Prader-Willi syndrome (PWS) that carries a mutation in the Magel2 gene. There is mounting evidence that loss of the Magel2 gene plays a major role in many of the symptoms of PWS, including excess fat mass, reduced lean mass, growth hormone deficiency, scoliosis, infertility and more. Mice deficient for Magel2 gain excess fat mass, have low activity, and have endocrine dysfunction that recapitulates many of the key features of PWS. Diazoxide has been used since the 1960s to treat acute high blood pressure. An extended release formulation of diazoxide, DCCR, had promising results in Phase 2 trials in PWS. In particular, participants taking DCCR had loss of fat mass, with reduced waist circumference and a reduction in hyperphagia scores. (Learn more by watching this presentation on DCCR by Dr. Neil Cowan at 2018 FWPR conference.) Soleno, the company sponsoring clinical trials of DCCR in PWS, is gearing up for a Phase 3 clinical trial and information on trial enrollment is now available. Dr. Wevrick’s group made a group of normal mice obese by feeding them a high fat, medium carbohydrate diet for 14 weeks. At this point, the mice gained a lot of fat, had high blood sugar (pre-diabetes), and were slow to move. The mice were then treated with diazoxide in their food, and were kept on a high fat diet for another 12 weeks. Normally, mice would continue to gain weight on the high fat diet through the second 12 week phase. With the diazoxide treatment, the mice lost weight, and that weight loss was from was fat rather than muscle. Their blood sugar levels went down, and their endurance improved. This is the first long term study of diazoxide as a weight loss therapy in mice. Most previous studies only treated for a week or two, and only gave one dose a day instead of adding the drug to the food. Mice eat several times an hour, so adding the diazoxide to the food gave them a steady exposure to the drug. This part of the study validates the use of diazoxide as a weight loss drug, at least in rodents. Dr. Wevrick then performed the same study but on mice that lack the PWS-region gene, Magel2. They knew that these Magel2 mice gain excess fat even on a normal diet, and that they are much less active in their cages than normal mice. They wanted to know whether the Magel2 mice could also lose fat and weight and show improvement in exercise endurance with diazoxide. Using the same 14 week high fat diet followed by 12 weeks on the high fat diet but with diazoxide treatment, they showed that the Magel2 mice also lost weight and fat, lowered blood glucose, and improved their endurance with diazoxide treatment. Their weight loss was slower, probably because the mutant mice were still far less active than the regular mice. Importantly, they did not see any ill effects in the mice despite using quite a high dose of diazoxide over an extended period of time. Overall, the mouse study shows that chronic diazoxide therapy can cause weight loss (in mice), and that mice lacking Magel2 are still sensitive to the effects of diazoxide. This study supports the continued evaluation of diazoxide as a potential new therapy for PWS and paves the way for the clinical trial of diazoxide in individuals with PWS, which will examine in detail whether diazoxide can reduce excessive hunger in PWS. Dr. Wevrick's study is one of a number of preclinical studies in animals used to validate the use of pharmacological agents to treat disease. This can happen as a "proof of concept," before a new drug starts its way down the long path that is the clinical trial process. Or, preclinical trials can provide important support for compounds that are already in clinical trials and that have shown promise in early clinical studies, so are poised to come onto the market in the not too distant future. Rachel Wevrick, Ph.D., is a professor of medical genetics at the University of Alberta. She has made PWS a major focus of her work and is a member of the FPWR Scientific Advisory Board.